Students are to be in class daily to maximize opportunities for success. Excessive tardiness and absences have a direct correlation to poor student performance and are detrimental to the learning environment. 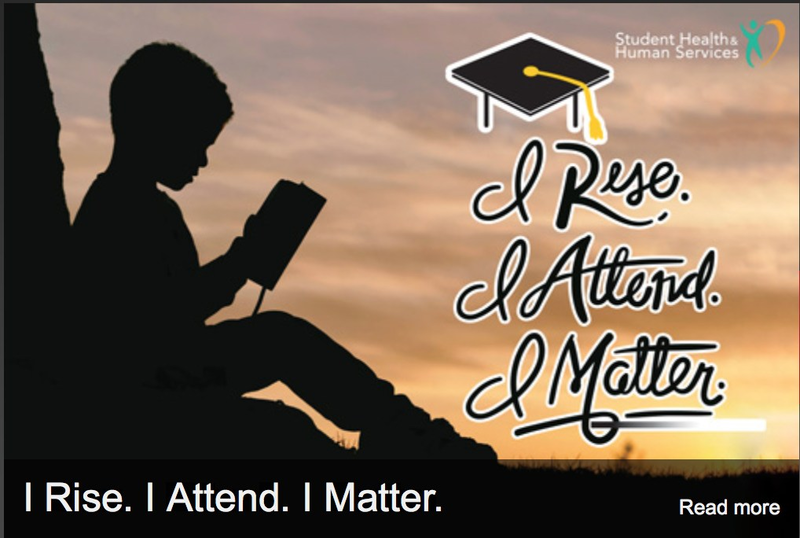 Parents, students, and the entire school staff all have a shared responsibility to ensure that each student obtains the best possible education. A student returning to school with sutures, casts, crutches, brace(s), or a wheelchair must have a health care provider’s written permission to attend school and must comply with any safety procedures required by the school administration and health services personnel. Students who do not bring a written note excusing the absent will be considered truant. All other absences, including "Personal Reasons" or "Personal Problems" are unexcused. The opportunity to make up missed assignments and/or tests will not be granted. Students and parents should speak with the Attendance Office concerning known absences that will extend between 5 and 20 school days. With prior approval from the principal or designee, many of these absences may qualify for a Short-Term Independent Study Agreement. Students returning from extended absences due to ILLNESS or INJURY will be required to submit documentation according to the district’s Health Office Guidelines. Medical documentation is required for any absence due to illness that extends 5 consecutive days or more; documentation must be provided before the absence will be cleared. See Health Office Guidelines under Health Services. For extended absences due to illness, parents are advised to speak with students' guidance counselors and teachers so that proper accommodations can be made and work provided. Students absent for more than three (3) consecutive days, should have their parent/guardian notify the Attendance Office with the reason for the absence and expected date of return. Students absent five (5) or more consecutive days due to a medical reason must be cleared through the nurse with a doctor’s note before returning to class. The student must bring a signed note requesting to leave early to the Attendance Office before the start of the school day on the day of the early leave. The note must include: student name, birthdate, reason for leaving, time of departure, contact number of parent/guardian, and parent signature. All early leaves will be verified prior to releasing the student. All notes must contain parent/guardian's printed full name, signature and telephone number. Phone requests for student to leave early will not be honored. In the event the parent/guardian must take the student out of school before the end of the school day, the parent/guardian must come to the Attendance Office with identification and request to have the student summoned for an early leave. Phone calls to the school requesting early release of student will not be honored. Should a student become ill during the school day, the student should obtain a pass to the Health Office where his/her condition will be assessed. When appropriate, an Early Leave Pass will be issued and the student will be released to his/her parent/guardian. Emergency cards listing current telephone numbers and addresses must be turned in to the Attendance Office at the beginning of the school year. It is the responsibility of parents/guardians to inform the school of any address and/or telephone number changes. Failure to update the address of residence may prohibit the student from qualifying for a continuing enrollment permit at VHHS. In order to withdraw a student from VHHS and enroll them to a new school, the parent/guardian must report to the Attendance Office with a valid photo identification (i.e. CA Drivers License) and complete required paperwork. Student must clear all debts including textbooks and library books prior to receiving the documents necessary for enrollment at the new school. Schedule medical and doctor's appointments after 3:15 PM. Plan family trips and vacations during school holidays (e.g., Winter Break and Summer Vacation). Encourage your child to get sufficient sleep. Research shows that teenagers need between 7 and 10 hours of sleep every night. Ask your children what they learned in class. If children are unable to explain what they learned, they might not have been in school. Our Attendance Office team is always here to answer any questions or concerns that you may have. Please don't hesitate to contact us.